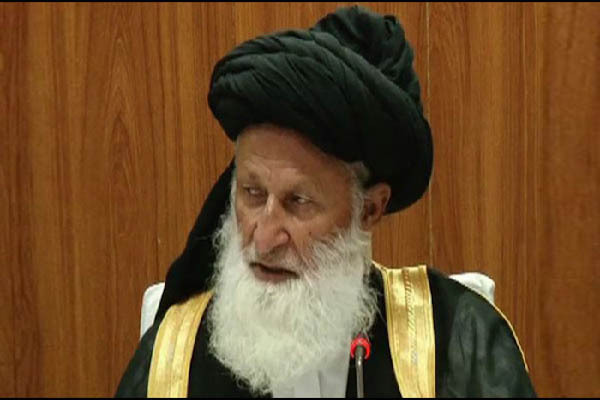 ISLAMABAD, Aug 4 (APP): The Council of Islamic Ideology (CII) Thursday underlined the need for giving all due respect to the abandoned children and newborns by keeping their miseries secret instead of ‘advertising’ them. Addressing a news conference after a three-day meeting of the council, CII Chairman Maulana Muhammad Khan Sheerani said the body had taken a serious note of a TV show in which, according to him, such children were presented to the participants like gifts or ordinary items. He said the Muslim society was duty-bound to take care of the abandoned children and ‘advertising’ them in TV shows was against the Islamic teachings and humanity. Terming the TV show a ‘heinous act,’ the chairman condemned it and regretted that no organization dealing with the children rights had taken notice of the programme, which was conducted even in the presence of some Ulema. He said the council had reviewed the 75-article bill for protecting children rights and approved it with certain amendments in words. However, the CII chairman said, it had been recommended to include in the bill, articles to prevent children’s smuggling, use of them in crimes and their physical abuse, for final approval in the next meeting. In the recent past, Sheerani said some TV channels had made fun of the CII, its chairman and members, who were performing their constitutional duties in line with the Quran and Sunnah. insulting the constitutional body for several days. “They (TV channels) have been violating rules of Pakistan Electronic Media Regulatory Authority (PEMRA) for several days but it did not take any action on its own,” he added. Commenting on other agenda items of the meeting, the chairman said the council appreciated the government efforts to include the Quranic subjects and teachings in school syllabus. He said the council took a detailed review of the syllabus compiled by the Ilm Foundation and appreciated its efforts. But the Chairman said there were different flaws in the compiled books so it advised the experts of the foundation to review and improve the syllabus. He said the foundation had also been directed to compile books containing ‘Madni Surahs’ of the Quran (Chapters of the Quran revealed to Hazrat Muhammad Peace Be Upon Him during His stay in Madina). “After this the council will be in the position to comment on the syllabus,” he added. About another agenda item pertaining to the Hague Convention 1980 containing articles for protection of child rights, the chairman said the council reviewed its 21 articles, out of total 45, and found six in conflict with the principles of Shariah and constitution of Pakistan. He said the body would look into another 24 remaining articles in its next meeting for giving appropriate recommendations.